Rush has gone back to basics. On Counterparts, their 19th album, we see the band apply a more muscular, leaner-and-meaner approach to production that recalls their 1981 release, Moving Pictures. Gone are the lush keyboards, MIDI bass pedals, and overwrought production tricks that have dominated so many of their albums in the interim. It's rock'n'roll the way it oughta be, straight from the band which, despite apostasies into MIDI techno-land, set the standard for smart power-trio rock in the 70s and '80s. Guitarists and Rush aficionados will be delighted to find that Alex Lifeson's guitar is out in front and all over the place, running the sonic gamut from lovely atmospheric shimmers to blazing, Hendrix-like solos. To give himself the proper attitude adjustment, Alex left the familiar confines of the control room - his usual domain - and ventured forth to that lonely room on the other side of the glass. Here, away from creature comforts and distractions and armed with only his guitar, he squared off with the rhythm tracks, meeting the challenge mano-a-ampo. The results are spontaneous, immediate, and inspired. Alex's liberated playing was a pleasant surprise not only to nostalgic fans but to Alex himself. In conversation he is forthcoming about the fact that he denied himself this approach for many years. Because he was co-producer as well as guitarist, Alex recorded his tracks in the control room, where he could advise the engineer, discuss ideas with bandmates, and hear the finished tracks immediately. But, as he now admits, he was missing that feeling you get when the amp is so loud that it shakes the guitar. "it not only affects the sound-because the wood is vibrating and the amp is coming back through the pickups - it affects your playing. I love it," Alex enthuses. "For a long time I maintained you could get the same results in the control room as in the studio, If you had enough control. I know now that I was completely wrong." For this interview, Alex was relaxed and candid about the production process for Counterparts. He reveals trade secrets and discusses unflinchingly some of his past regrets and missteps in reconciling the control room and the studio. Leave the control room to engineers, producers, and well-wishers. The place where guitarists belong, Alex asserts, is in the studio. How did the making of Counterparts compare to recording other albums? It was fun to make, everything just happened, there were no real hurdles that we had to go through, and it just feels right, y'know? The results are very apparent on this one. I think probably Moving Pictures is the album for us that's very similar to this one; made the same sort of way. I remember that being a lot of fun and everything really happening on that record. Did you play live in the studio a lot for this one? I did all the guitars in the studio but we didn't play live as a band. I think we're still a ways away from doing that [laughs] But after spending the last 12 or 13 yeah recording in the control room, this is the first time I've been in the studio doing all the guitars. And I loved it! I mean, the first couple of days it was difficult to get used to it mostly because of the concession you have to make - your monitor mix, the cans are never quite loud enough when the amps are facing you - but for what you end up getting, the benefits far outweigh those few little inconveniences. What specifically about playing guitar this way makes a difference? The fact that the guitar is just vibrating against your body means you can feel it through the wood, you can sense it going through the pickups, the sound of the guitar coming back through the pickups - all of that. It's definitely worth it. Plus, the way we recorded the guitars for this record made a difference [in the end]. But I think probably the major difference is being in the studio and playing. I really enjoyed that a lot. Do you think it influenced your playing? Would you, for example, vibrate a note differently or hang on to a note longer and make it more legato? Yes, definitely. I noticed that, obviously, if the guitar is vibrating that much then the wood is sympathetic to anything that you're doing on it. The sustain would be greater for notes that you'd want to hold; the feedback of course was more immediate. All those sort of things. And the fact that I was plugging straight into the amp and just going for it makes a difference, too. I wasn't impaired by having a lot of stuff in the line, effects in the line and things like that. I guess it sort of reminded me of the way things used to be, the way we used to record. And I really enjoyed it. I think there's a lot of emotion that you get out of the instrument and out of the sound recording that way, which I'd kind of forgotten about. It's appropriate, too, because these songs are more visceral; they're more rock-oriented songs. A more direct, rock approach rather than a cerebral one. Yeah, for sure. Certainly in the way it was recorded it was. We went right back to a very basic style of recording. The engineer that we got to do this record, Kevin Shirley, that's his style. He doesn't like to clutter it with all kinds of crap. He goes in and he moves the mic around until he hears the top end, until he hears the bottom, until he hears the mids that he wants to hear. And once he's achieved that, then he knows that that's the sound. It's not going back into the control room and tweaking the EQ until he's manufactured the sound. You're probably used to playing with headphones on and getting tremendous spatial reverb in your cans, but it's different when it's coming out of the amp and hitting you in the face. You can simulate an amp sound, but there's nothing like what happens to you physically. That's right - it's very, very true. And I was the first to say that it's not true. I've come to realize that I was wrong in my thinking. I've rediscovered an essence to the guitar's sound -and to recording in general - that I'd forgotten about, just because there have been so many leaps in technology and how you record and what you do to achieve a certain thing. I guess there's a whole movement to going back to basics. And if you've already been there, it's maybe a little harder to go back to them because you know how much easier it is now. But certainly for a lot of bands that are trying to go back to that sound because they've listened to their parents' records [laughs] or whatever, they hear that and they hear those qualities, and that's really what they want to do. I don't see myself ever sitting in the control room and recording again. You don't think you'll go back? Never. I loved it! I felt - God, I felt young! I really felt energetic. I had a ball, I had a great time. One of the things I was afraid of was communication because there's always a lot of communication going on when you record. I didn't realize that being in the control room is a far more distracting place to be because of that. As soon as you finish a take or you stop for one reason or another, immediately the conversation picks up, blah blah blah. There are three or four people in there and it's quite often tough to maintain a level of concentration through that. You work around it and you just get used to it and that's your environment. But I found that when sitting in the studio, I was the only one out there. It was just me and my amps humming happily in the corner. Were you responsible for picking the recording amps? Yes. I ended up using a Peavey 5150 and just a Marshall 4x12, with the Marshall 100-watt head, for just about all the recording. That was basically what we were going for. And I used my Gallien-Krueger setup that I had been using on the last few tours for a couple of things. But primarily I used the Peavey and the Marshall. And they turned out to be a great combination. The 5150 is an extremely versatile amp. You can really do a lot in the studio with that amp. What was the cab for the Marshall? Just a 4x12, just the regular Marshall, I'm not sure which Celestions they'd have in them. It was probably the 25-watt speakers, the standard ones. How did you hear of the 5150, just from word of mouth? Yeah. That and the fact that Eddie Van Halen's involved with them. He's always had a really good sound. And you can hear it on his records and the records where he used those amps. But whose idea was it to bring one of those out with all the different amps available? Well, I think I sat down with my tech Jim Johnson. We said, "What do we want in the studio this time around?" Because normally we have maybe 10 or 12 different amps and we set them all up and we get a sound on each one and just chain everything up so that it's there. And depending on what sort of sound you want, you just bring them up on the rails, slightly EQ them and make some very subtle changes from song to song. But with this album we knew that we were going to go for a much more straightforward approach. So this time we said, "Let's get the Peavey, let's get the Marshall, and bring them in and see what those things sound like." And we just scrapped everything and just went with the Marshall and the Peavey. That must've been a nice surprise. Yeah, it was. I was a little apprehensive at first because I had an idea of the sound that I wanted to get, which I think we've achieved but I don't think I would have achieved without having those amps. What will you use for the tour? I'll probably use the Marshall stacks for the next tour. It's been a long time since I used that kind of format in amplification. And it's been a really long time since I used Marshalls on stage. But I kind of like the idea of having a few stacks behind me. I went to see Eric Johnson in Toronto. I went down to say hi when he was playing a semi-outdoor gig. When he toured with us on the last tour he had a real mishmash of gear. He had a Fender Twin up there, a Marshall, somethin' else and somethin' else. When I saw him, he had a row of Marshall stacks. I thought, "God, y'know, that really looks great! I'm gonna have to go back to that!" There's a real psychology, isn't there, being backed by a wall of Marshalls? There is. And I've been really happy with the Gallien-Krueger, with the solid-state stuff. I think they make really great equipment, and it served my purposes for a long time, but I just feel a whole different thing now. So I'd like to make that kind of a switch. Let's talk about some of the solos on Counterparts. "Cut to the Chase" - how would you approach a solo like that? Is that spontaneous? That was a solo that I did on my own, on my little ADAT [Alesis' digital 8-track recorder] scene that we flew in. That was a spontaneous solo. I had quite a different solo for that song originally. And I thought, "Well, now that I have a picture of what the album is like and what the solos are like, I don't have anything very fast. Maybe I'll do a solo here that's fast." So that was really the drive behind doing that kind of a solo in that song. It was as simple as that. Just to be in contrast to the other things. On the other end of the spectrum, in "Double Agent," that's very simple. I don't really play any notes in that song! I play a couple of chords and that's what the solo is made up of. Speaking of "Double Agent," it's got that great secret agent rift. But It doesn't just stay there, it's not just a parody. There's some really adventurous exploration within that form. That song in some ways reminds me of our older material, kinda like Hemispheres era. It's a quirky sorta song for us. It doesn't really have a flow to it. Songwriting has become a much more important thing to me than being just a guitar player. When you think in context of the whole record or the whole song, it's not just some kind of statement you want to make as being an individual instrumentalist in the song. It's really what you do with the other players and what you do for the song that really is the most important thing. A perfect case in point is "Leave that Thing Alone," the one instrumental. You turn it on expecting to hear something - burning picking or the lead/hybrid style taken to the nth degree - but it's melodic. You can imagine somebody singing your part, almost like it had lyrics. Yeah, it's accessible, without being cheesy or hooky. It's easy to rock out, and that's the way you would normally approach an instrumental. And that certainly was the way we approached instrumentals in the past, like "La Villa Strangiato" or "Y-Y-Z." But this song is just a nice song. It's enjoyable to listen to and it goes through some changes and there's a little bit of variety. But maybe it's like you said, a quality of the guitar that sounds like a voice singing, that makes it sound more emotional. Were you tempted to put lyrics to it of form a song around it? No, never. It was always going to be instrumental. "Stick It Out" has an intensely sick riff. You're really smacked in the face with that interval. Yeah, it's ugly. Good ugly. Powerful - it seizes you. Yeah. Again, that's the important thing about songs. They should have an effect on you physically. And it's jarring and it makes you feel uncomfortable in a way It's unsettling. It leaves an impression And I think that's really what music should do. There's a lot of different guitar sounds of "Cold Fire"; some are almost Mark Knopfler-like...lean, sparkly little things. What was the evolution of those guitar parts? I think that's something that I've always been working towards, certainly the last three or four records. Most of my arpeggio stuff has been the contrast to the heavier stuff, so it's been generally on the cleaner side with repeats. "Speed of Love" - that lovely, atmospheric stuff in the beginning, is that just guitar? That's all volume pedal with lots of reverb and delay. For some of it I would play the chords and just kind of sweep in with the volume pedal, move the chords around a little bit. Then I think with the overdub I would just do single notes here and there. So we made a nice movement between the two with the repeated notes extended, overlapping. And I also had the DigiTech IPS-33 pitch shifter. How has your unique lead/rhythm-hybrid style evolved? I've always put a lot of emphasis on being a rhythm guitarist, and in a three piece you have to be. You have to fill the space, certainly from the pre-keyboard days. Soloing is fun, but to tell you the truth I'd rather hear 60 or 70 percent less soloing on this record than is on it. To me it's a dated kind of thing. But I get into a big discussion with Ged about this every time. He says, "You gotta do it! It sounds great; it's a neat little change for a song, a shift of mood." So I get talked into it, I guess, every time. And actually, in retrospect, I think on this record there are very different soloing styles. And that's really what I've been aiming for for this one. I'm trying to be different on every song. Maybe [there is] a little more of a Hendrix influence overall than I've had in the past. There is an incredible diversity: the textural stuff in "Animate"; the metal-god thing in "Cut to the Chase"; the lyrical stuff, like in "Leave that Thing Alone." But then there's your unique style, like in "Nobody's Hero" and "Between Sun and Moon." Yeah. "Between Sun and Moon" is very pick-y, sort of a cross between Keith Richards and Pete Townshend. With "Nobody's Hero," that's a very emotional song. And then "Leave that Thing Alone," it's almost Celtic and Eastern, or some mix between them. The genesis of the solo on "Cold Fire" - that's single-note stuff, and kind of unpredictable. Quirky, almost. That one - we actually spent a lot of time with that one. Tried a few different approaches and none of them seemed to really work. What we ended up doing was I got my Tele out with a very clean sound. And it's not a particularly comfortable environment font me playing a solo with that, without any echo and repeats, nothing I can play off of. This was a very strange world font me to be in. But I think it worked for the solo. I think it's very honest. I think font that song, it suits it. It's a terrific solo-improvisational and inspired. Yeah, I think it climaxes in a very strong, almost manic way. For that sound. I mean, it's a very clean sound, it's very hard to get tension out of that. And yet it does get the tension as it slips into this lyrical picture. A Tele is a very unforgiving instrument, too. Yeah, it certainly is [laughs]. That's very true. 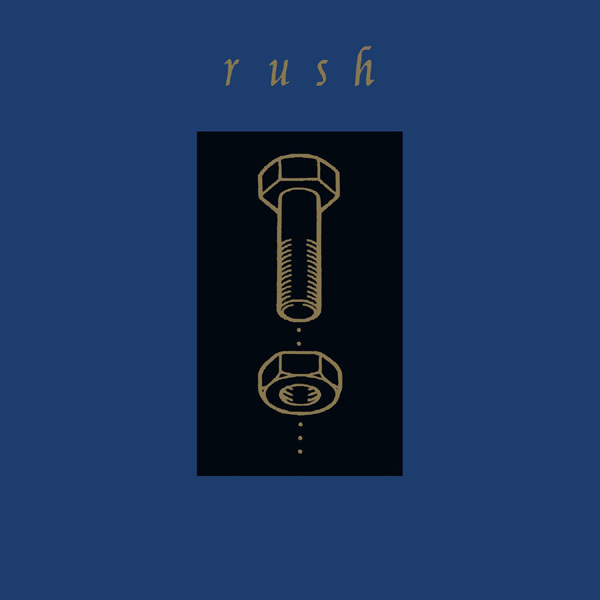 HOT SPOTS: "Cold Fire," "Stick It Out," "Leave That Thing Alone"
Rush just keep on ticking. A mere 20 years into their career, Rush has become the steadiest, most dependable and continuously creative band in hard rock. Guitarist Alex Lifeson, bassist/ singer Geddy Lee and drummer Neil Peart have never broken up, added or subtracted members (since Peart replaced John Rutsey way back in '74), done solo projects, or made a bad record. Counterparts comes on as strong as 1991's Roll the Bones while continuing to modernize the band's sound with rhythmic, melodic, and textural variation. Suddenly, Rush is cool again, what with the endorsement of Primus' Les Claypool, and Counterparts is as good a place as any to begin to appreciate the band. The opening salvo of "Animate" and "Stick It Out" rocks hard on fierc , lean riffs and stately Lifeson guitar parts, and shows in its grooves that while Primus may profess its debt to Rush, it isn't the only hip alternative band that has copped from the trio. Lifeson isn't afraid to try a few new tricks; his lead on "Nobody's Hero" demonstrates a natural connection to players like U2's The Edge, while the stuttering blues solo on "Cold Fire" is his finest moment among many. Counterparts basks in a fresh, open, unadorned sound, music that is anathema to the alternative ranks but a true link to much of its bloodlines. -B.M.